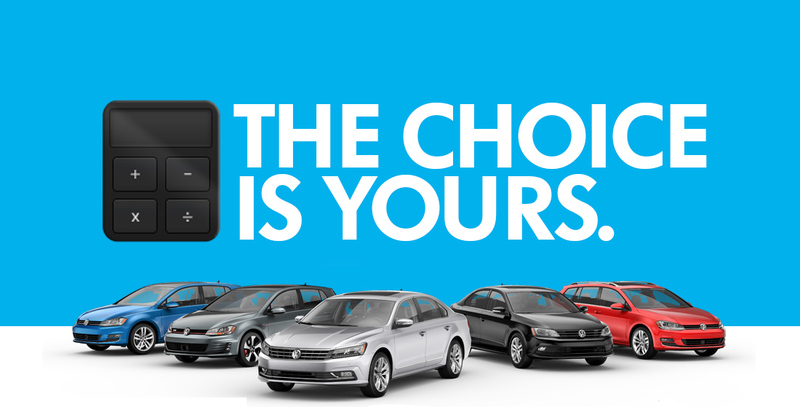 Is leasing or financing your best choice for your next Volkswagen? There's no quick answer as both have many advantages. However, a brief analysis of your lifestyle, transportation needs and preferences, can help you make the right call. • May provide lower monthly payments than financing. • Drive newer models more frequently. • Flexible lease terms and mileage options available. • Turn-in or purchase options at lease maturity. • A range of mileage options that suit your lifestyle. • Own it for a lifetime and build equity. • Avoids any lease-end obligations. • Customize and personalize freely. • Competitive terms from VW Finance. • Sell the car when you want. The freedom and flexibility of a lease. If you can’t wait to make this Volkswagen your own—customize it however you wish and drive it to the ends of the earth—then financing with Volkswagen Credit is the way to go. Financing your vehicle allows you to make payments for a selected term, and at the end of that term, the car is yours. That means total ownership and maybe even equity.